Tropic Skincare is a brand I only really discovered towards the end of last year, I shared my post Three Faves from Tropic Skincare in October and had a really great response so I started to explore the brand more and found even more products that I loved, especially the Lip Fudge which I use daily. Just before Christmas I was sent the 12 Days of Tropic advent calendar, full of treats from the brand along with some hero products of theirs as well as everything I'm showing you here so I had to share my latest thoughts with you and why I think you should give Tropic Skincare a go. 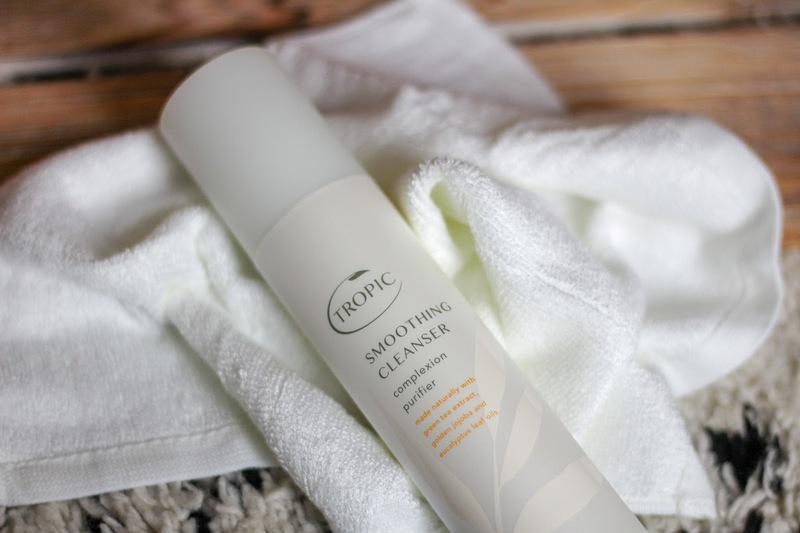 The award winning Smoothing Cleanser Complexion Purifier (£16.00) is the first product I need to rave about. It comes with a bamboo face cloth which is the best face cloth I've used in forever. I need another six of these at least to keep my collection going. 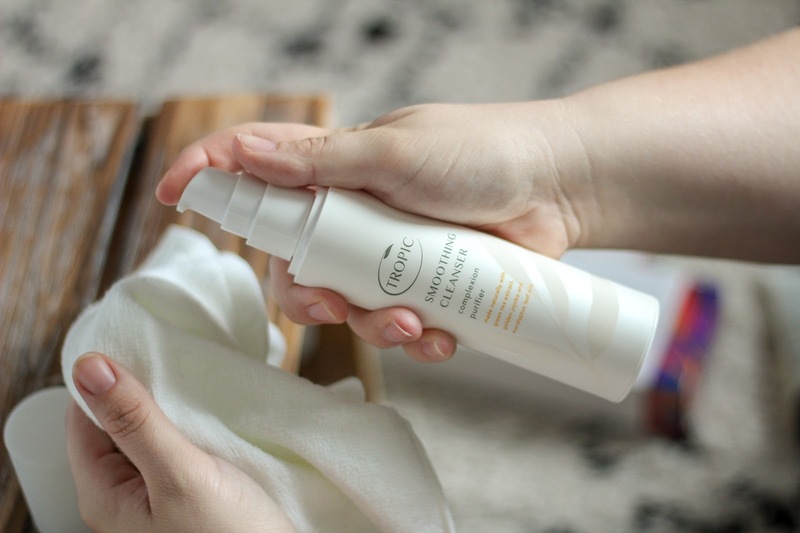 The creamy cleanser comes in a pump action bottle and has been created for all skin types, even sensitive skin. It's beautifully silky and as it melts into skin it helps wipe away the days dirt. It leaves the skin feeling soft, smooth and incredibly clean. I had a travel size version in the advent calendar too which makes life easier for travelling. I love it and I'm pretty sure Arran does too as I've found it on his side of the bath a handful of times! Next up are some pretty juicy lip products. 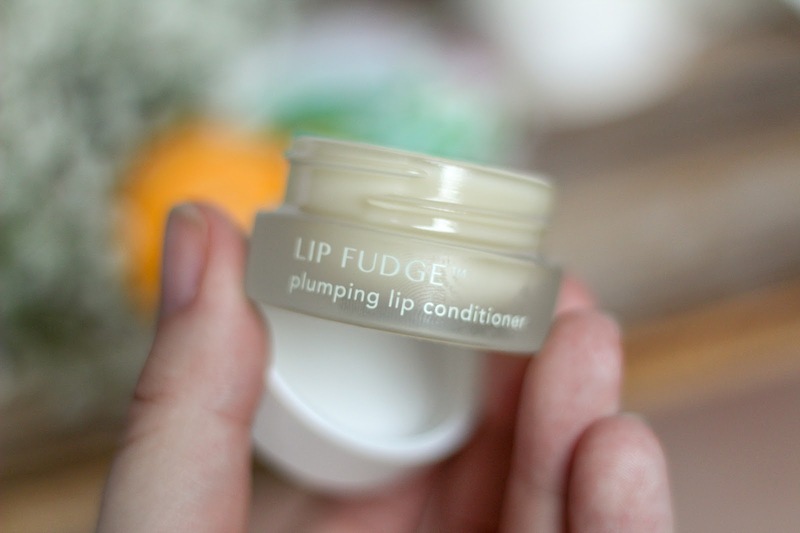 Initially I wasn't that keen to try the Lip Fudge Plumping Lip Conditioner (£12.00) as I try to stay away from plumping products as some are so painful but I was so wrong about this one and I've been raving about it to everyone I know. I have the original one which is a clear balm but there are also two tinted shades available, Rosewood & Pink Guava. 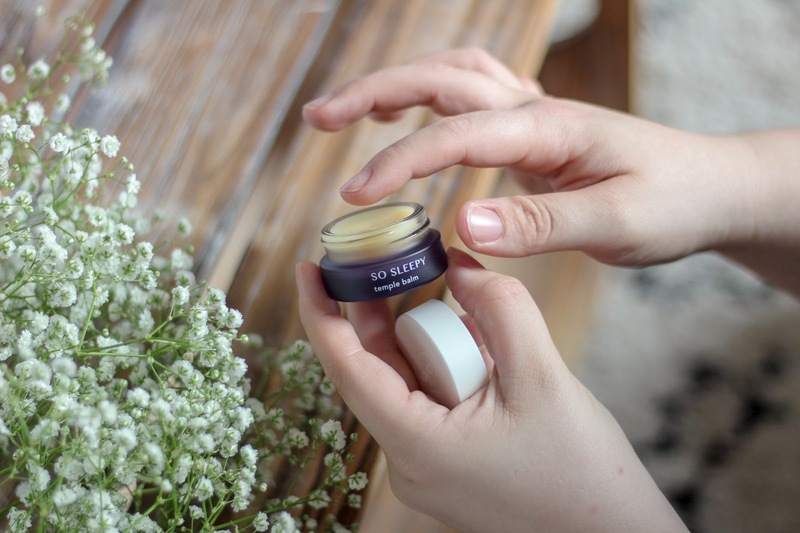 The balm is full with 26 lip-loving plant extracts to help smooth and moisturise lips, it lasts for hours and although a tad sticky, it soaks into lips quickly so you don't have any unfortunate hair stuck to lips incidents. It really lasts and the rich balm has been my saviour through winter. The second lip product is the Lip Love Balm (£5.00) which is a nourishing balm to help dry and cracked lips. The formula is nice, slightly creamy and it feels lovely on lips but the Lip Fudge is just so much better. I like the Lip Love Balm but I love the Lip fudge! The final two products are some handy beauty tools to help you sleep! 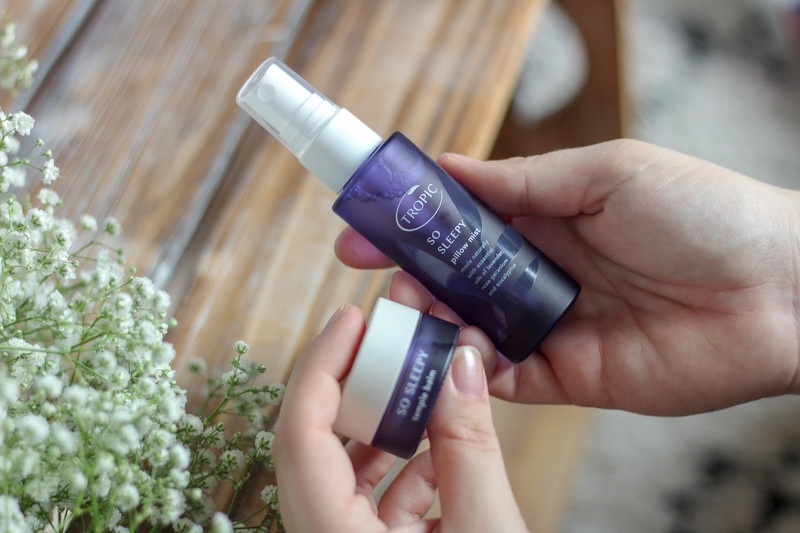 The So Sleepy Temple & Pillow Collection (£20.00) is one of Tropic's newer collections and features travel sized products of their pillow mist and sleep temple balm. I'm a big fan of pillow sprays and this one comes in a pretty purple bottle with a mix of seven calming essential oils to help towards a restful slumber. I also like to spray some on a muslin to leave in Joshua's room to calm him to sleep. The temple balm is a great product too and it has helped when I've had a searing migraine come on, it just soothes the area for me. I think the gift set is a lovely baby shower idea for those final few months in pregnancy. 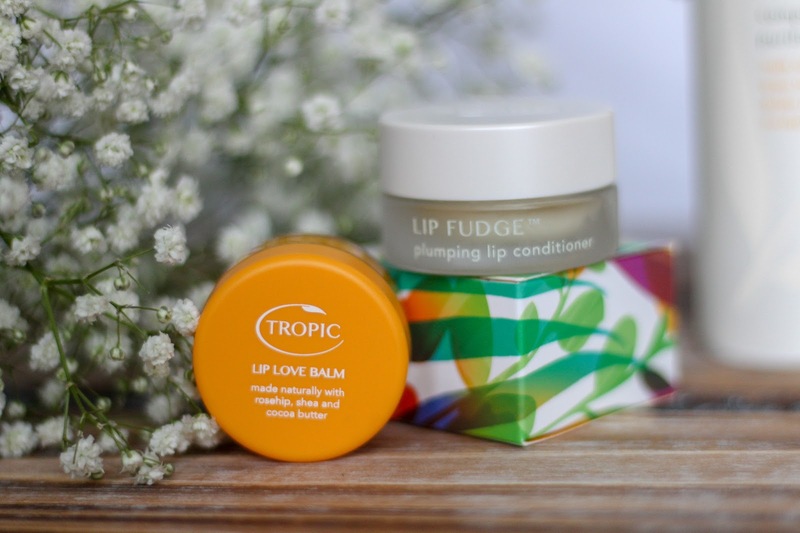 So there you have it, what I've been using from Tropic Skincare recently and yes you should totally buy the Lip Fudge! I need to get my hands on those balms soon they look SO good! I adore this brand. I really want to try their sleepy range and the lip fudge. Everything sounds amazing, especially the Lip Fudge! I love their cleanser - it’s soooo good! Need to try some more products I think!